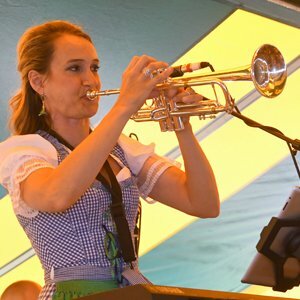 You are here: Home / Events / Polka Service with Mollie B.
Don’t miss this unique chance to attend church services with a polka twist! Hosted by nationally-known musician Mollie B. New Ulm’s biggest parade of the year begins at 12:30 pm on Sunday. Since you’re already here early, save your seats along the parade route through the festival grounds.